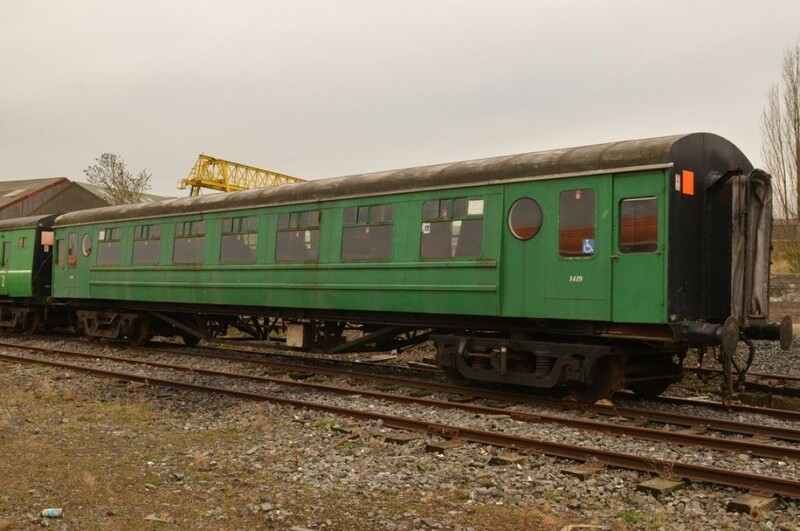 1419 was one of fifty coaches constructed at CIÉ's Inchicore Works from kits of parts supplied by Park Royal vehicles of London. While most of these were built as 76 seat suburban vehicles, 1419 was one of ten (1419-1428) built to mainline specification in 1956. 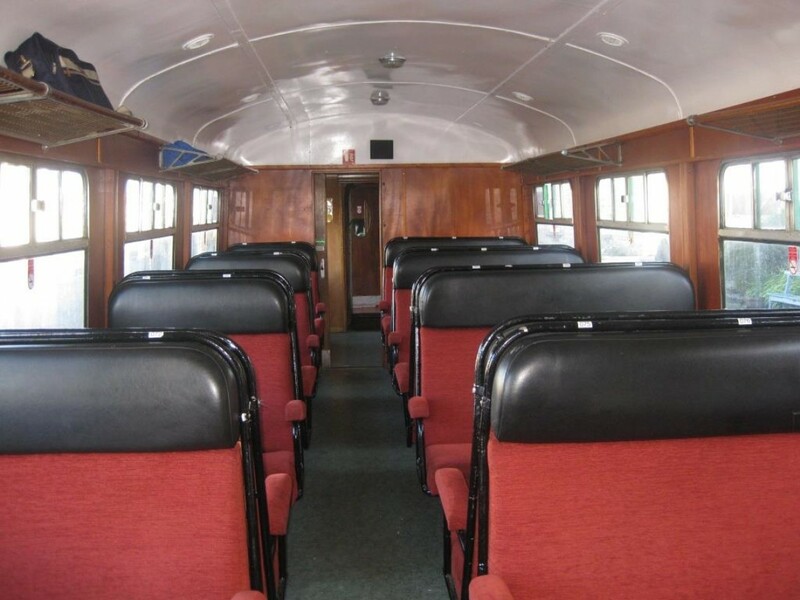 These differed from the suburban vehicles (such as 1383) in that they were 70 seat, with a toilet compartment in each vestibule the suburban coaches originally had an extra six seats in each vestibule). The Park Royals were quite distinctive, being 10'2" wide for most of their body length, but this reduced to 9'6" at the vestibule ends. This allowed for a rather generous 3+2 seating arrangement, taking full advantage of the Irish loading gauge. Although built as Open coaches, a few were converted to snack cars in 1968 and this included 1419. As such, their seating capacity reduced to 56, with a kitchen and serving counter being installed at one end. They were numbered in the 24xx series which CIÉ used for catering vehicles - 1419 becoming 2423. It operated in this guise until 1984 after which it reverted to open standard identity as 1419 and the kitchen was removed. The Park Royals saw service on all corners of the CIÉ passenger system, and occasionally visited NIR on special workings (a rake is known to have operated to Portrush behind a 111 class GM in the 1980s). Their early years would have seen them run mixed with much older side corridor stock, and even in the 1970s and 1980s they would have operated with Cravens and Laminate stock. Even with the arrival of Mk2d and Mk3 stock the Park Royals were quite common on secondary mainline services such as those to Sligo and Rosslare, along with suburban services out of Dublin, branch lines and of course the Cork-Cobh service. While the other 1950s built stock was phased out during the 1980s the Park Royals made it into the Irish Rail era of the early 1990s, some even gaining the post-1987 double white stripe livery more normally associated with the Cravens fleet. 1419 was withdrawn by 1991, and soon passed into the care of the RPSI, regaining its original CIÉ green. Along with sister vehicle 1383, 1419 operated as part of the Dublin based set for much of the 1990s, and even briefly operated with a tea counter under its catering alias of 2423. 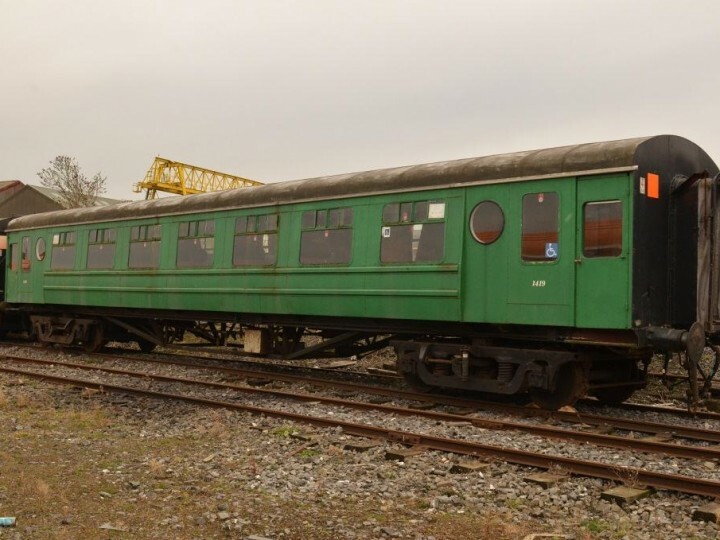 In 2000 it transferred to Mullingar for overhaul, which included fitting out the carriage for wheelchair access, the wide doors proving advantageous here. 1419 was returned to Inchicore by low-loader during the summer of 2006, and returned to service on that year's Santa trains. The Heritage set last ran in October 2010, and 1419 is now stored out of service at Inchicore awaiting the resources and accommodation required to return the set to service.